PHOTO BY JILL GOSCHE Bodyworks Fitness & Tanning is located at 1550 W. Market St., Tiffin. The owners of a local wellness center are preparing to close the facility next month. 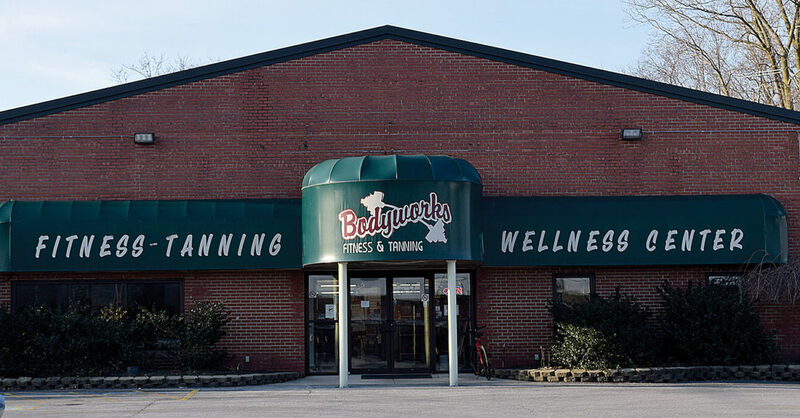 Larry and Diane Wadsworth, owners of Bodyworks Fitness & Tanning, learned Wednesday the landlord is selling the building in which Bodyworks is housed. There is a written purchase agreement and Bodyworks needs to be out of the building by May 28, Larry said. The 13,000-square-foot facility, at 1550 W. Market St., is to close in the middle of May. Larry said it is an emotional situation for him and his wife. “(We) wish everybody well,” Diane said. Larry and Diane, who now are eyeing retirement, were members of Bodyworks when it was in Westgate Village Shopping Center. They bought the equipment when it closed in 1993 and looked for a building. For a year, they rented a building that had been a gas station. Then they moved the gym back to Westgate for seven years. “We outgrew that,” Larry said. He and Diane remodeled the gym’s current location and moved there in 2002. Diane said she is going to be heartbroken for participants of the SilverSneakers program. She said participants are like family to her and Larry. “I want (them) to keep exercising,” she said. Bodyworks is the lone location in Tiffin for SilverSneakers, which serves senior citizens. It will be up to Healthways, which runs the program nationally, to decide where SilverSneakers will go from here, Larry said. “It’s a wellness program for 65 and above,” he said. He said he and Diane are going to have to sell everything and will have an auction for the building’s contents. “Anything that’s not nailed to the walls,” Diane said. Larry said he and his wife will keep active and maybe do more volunteer work. They pray every morning, he said. “He has a plan for us,” he said.